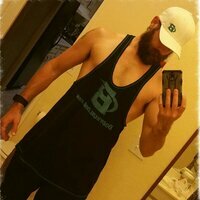 Beast Packs by Beast Sports Nutrition at Bodybuilding.com - Lowest Prices on Beast Packs! BEAST PACKS feature six performance blends that stands up to your rigorous training and takes it to the next level. 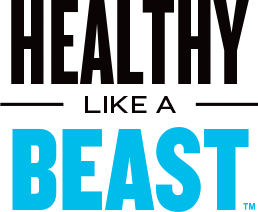 Featuring scientifically-based formulas, BEAST PACKS aids in focus, heart health, digestion for maximum nutrient absorption, joint support, mental focus and brain support, and immune support, making your daily multivitamin obsolete. You wouldn’t settle for an average workout. Don’t settle for an average performance pack. To perform at peak levels, you need a product stands up to everything you throw at it. Beast Pack delivers that boost for performance, recovery, health and rebuilding, putting you one step closer to becoming the ultimate beast. Build a Complete Beast. A Total Beast. The Ultimate Beast! For Typical Training Regimen: 1 Pack daily taken with food. For an Intense Training Regimen: 2 Packs a day with morning and evening meals. 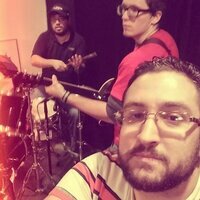 These were great got everything I needed in one place. Once i started taking these I felt so much better. When was tuning low tried to reorder but were sold out. When I ran out a week later I could tell how much of a difference these made in how I felt. I really enjoy a pack that covers the necessities, and this one does. I feel great everyday and will continue using this product. I am finishing a box of these and I have no complaints. 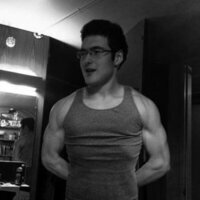 I feel like when I took these, the effects of my other supplements worked better (like a test booster I take). These are similar to the Animal Pak multivitamins except these are much easier for me to take since they are all gel capsules (much easier to swallow than the hard-formed vitamins of the Animal Pak). This is the best multivitamin on the market. Can definitely tell a difference in energy and overall health. 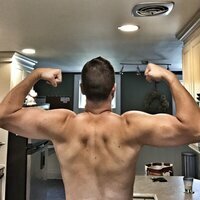 I would recommend to anyone including bodybuilders. I was searching for a multivitamin supplement for ages. I was looking for somethig that would combine some of the supplements I was already taking or should have been taking. 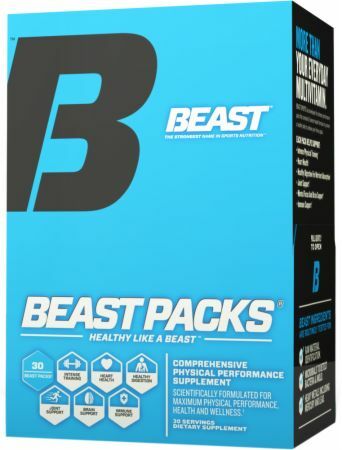 And then after a few days of reviewing product after product I found Beast Packs! I really like the fact that they don't megadose you with fat-soluable vitamins A, D, K, and E. Vitamins that can be overdosed on (because our bodies store the excess unused portions of these vitamins in our body fat), and can cause bad reactions. The doses are still a tad high but thats okay. I also like that the pack includes CLA (which I've been taking anyway), omega-3s via fish oils, DHA, etc. No fishy burps, and a dose of CLA to boot! Thas one supplement I should've been taking (fish oil) and one I was already taking (CLA). 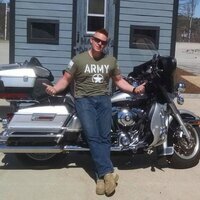 I can reduce my supplement pill count as a result. Great stuff, neatly sorted, and even the box is a handy dandy dispenser. Great Product, hope to purchase again when I run out! Even though I'm only about a week into this animal of a vitamin supplement, I can already make some statements as to its effectiveness. It's not mind blowing, I'm not pushing out 4 plates on bench for reps all of a sudden, nor do I think I could take smallpox in a cage match. I eat a bag of greens a day already and make sure I get most of micros throughout day in my diet. A vitamin shouldn't be a replacement for a good diet, and I'm not admiring this pack for its capacity to replace real food. But there are a couple standouts that I can appreciate day to day about this product. Firstly is that when taken with food, especially large quantities of protein or fibrous foods I don't suffer from any bloating or uncomfortableNess I might otherwise experience, whether due to the digestive enzymes or some unknown property I'm missing I can't say, but I definitely feel more... liberated at least more so than I would without them after consuming a monster of a breakfast. Now this is something of a strange factor to judge a supp by, but my pee actually isn't super smelly or neon like it might be with other vitamins. To my relatively uneducated mind I'm interpretimg this as if I am getting better absorbtion from this than with other vitamins that make me feel like I'm spraying the toilet with something I brewed up in lab. Both the forms and the dosing of this vitamin are above the standard for the supp industry imo. Is it to the same level as CL OT or Legion Triumph, that would come down to the individual, but this to date is the most impressive vita pack I've used, if based only on profile. * Percent Daily Value (DV) based on a 2,000 calorie diet. ALLERGEN WARNING: Contains Fish (Anchovy) and Shellfish (Crab). This product was produced in a facility that may also process ingredients containing milk, eggs, fish, shellfish, tree nuts, peanuts, wheat, and soybeans. 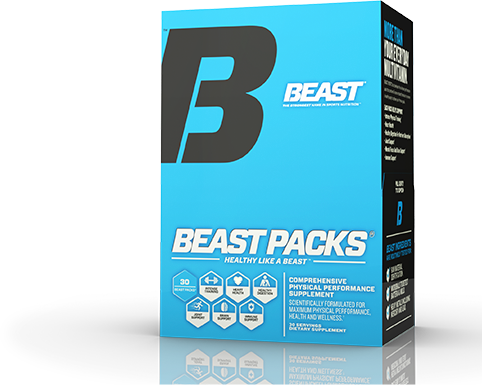 Directions For Beast Packs: For Typical Training Regimen: 1 Pack daily taken with food. For an Intense Training Regimen: 2 Packs a day with morning and evening meals. Warnings: Check with a qualified healthcare professional before using this product, or any dietary supplement, if you are under the age of 18 or if you have any known or suspected medical condition(s) and/or are taking any prescription or OTC medication(s). For CA residents only, this product contains chemicals known to the state of California to cause cancer and birth defects or other reproductive harm. Store in a cool dry place. DO NOT USE IF PACKETS ARE BROKEN OR MISSING. KEEP OUT OF REACH OF CHILDREN.